An ever-reliable source of portable power for the worksite, on the farm or in the back of your ute. Diesel power means you get lower cost of ownership, lower cost of use, and it’s a safer alternative to petrol. Powered by the British designed Lister Petter engine, this diesel dynamo delivers 4.4kVA at peak power and 3500 watts continuously. Fitted with electric start, a 5 litre fuel tank, 2 x 15 Amp outlets and steel protective rollover frame. Ideal for the small to medium tools and equipment around the job site, optional accessories include Earth Leakage Protection, Remote Start, and Lifting Kit. Complete with a two year warranty and backed by an extensive service network around the country. 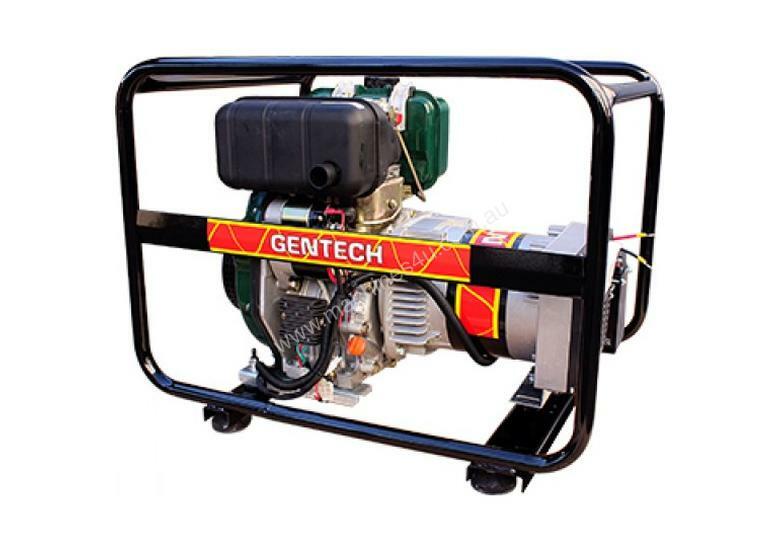 NOTE	This is a portable air-cooled diesel generator designed for short term/standby applications. For prime/continuous power, a stationary water-cooled diesel generator is recommended.